On 22 August 2012, a new logo is revealed by Microsoft. 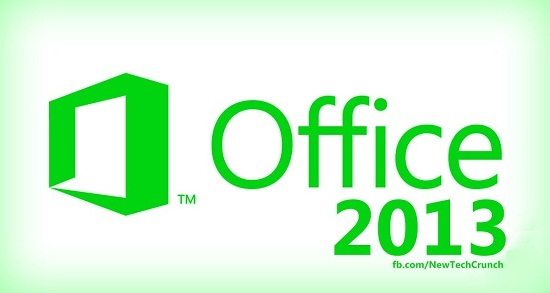 And now on 29th of January 2013 Microsoft is going to release the Office 2013, officially. 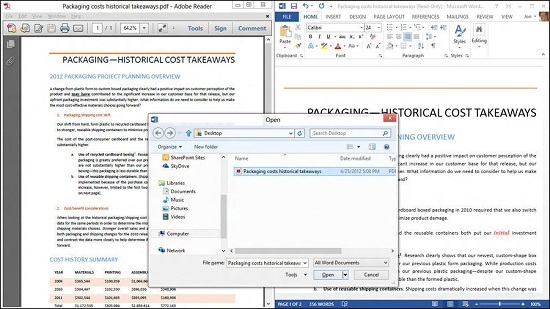 In mid of July 2012, they already launch a test version or Consumer preview of Microsoft Office 2013 which is free to download. And the users which avails the trial version definitely observed the innovation. Sometimes it becomes necessary to edit a content in PDF, but by using softwares to convert PDF files into Word format but unable to get required results. 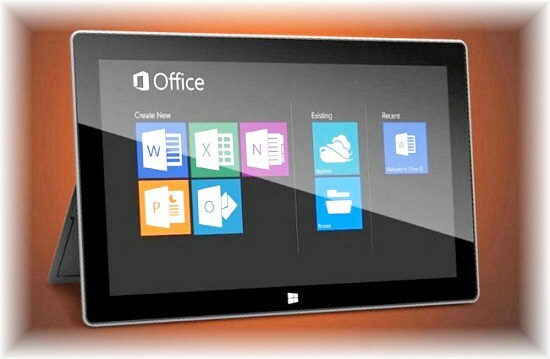 In Office 2013 you have a convenience to open PDF files as Word and make changes freely. Microsoft choose default location to save your work is SkyDrive. Cloud Storage provides an ease to store data online and open it from anywhere just by using an internet connection. All of the Microsoft programs like Word, PowerPoint, Publisher, Outlook, etc. are especially designed to work perfectly on Touch Screens, Tablets, Smartphones, personal Computers and also Metro Interface of Windows 8. So far we see keywords and image search in only in search engines. 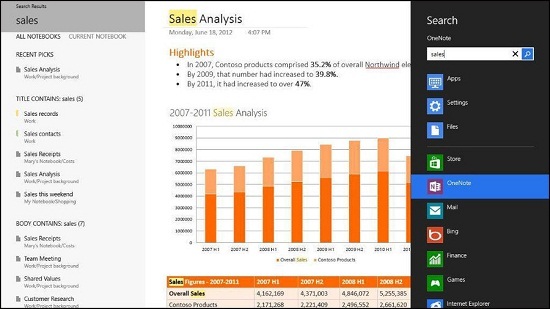 But in Microsoft Office you can find your documents and notes by using keywords (the text which you used inside document) and images. Before it is very difficult to find missing documents or forgotten name of notes in heap of files in device. But in order to get avail from all these mentioned features your system should need following requirements to install and run Microsoft Office 2013. RAM: 1 GB (32-bit) and 2 GB (64-bit). Operating System Windows 7 or above (no support for Vista or XP). Processor: X86 with a minimum of 1GHz. Graphic: DirectX10 support and minimum resolution of 1024 x 576. Yet this latest update is not available commercially so it is not confirmed about prices. But according to news which are leaked that Price of Microsoft Office 2013 Home and Student Version is only 140 USD which is around 14,000 Pakistani Rupees. And Standard version will be available in around 369 USD.